Tribeca New Music presents Desolation Pops, a new cycle of music by James Moore for pianist Kathleen Supove and The Rhythm Method string quartet. Cello songstress Meaghan Burke completes the program with a set of her beautiful and twisted melodies! Desolation Pops was inspired by Jack Kerouac’s collection of free-syllabled haikus. In a tour de force of broken sonorities, low-fi preparations, lilting harmonics, and phantom piano etudes, guitarist/composer James Moore seeks to capture the alternating moments of spirituality, melancholy, and playfulness in Kerouac's work. Cellist and songwriter Meaghan Burke's music straddles the worlds of contemporary chamber music, grunge, cabaret, blues, and free jazz in a tragicomic musical funhouse of creaturely drones, off-kilter waltzes, and distorted love songs. Meaghan will lead The Rhythm Method in a rousing set featuring new songs and selections from her album Creature Comforts. Kathleen Supové is one of America’s most acclaimed and versatile new music pianists, continually redefining the pianist/keyboardist/performance artist in today’s world. Ms. Supové presents solo concerts under the moniker THE EXPLODING PIANO. A striking presence onstage, she has performed with computers, boxing gloves, robots, and laptop orchestra. 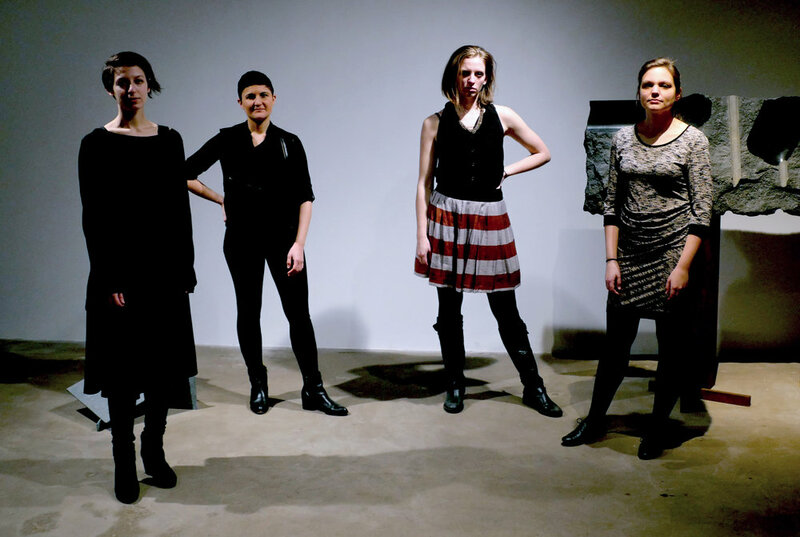 The Rhythm Method is a fierce and flexible string quartet comprised of Meaghan Burke, Marina Kifferstein, Leah Asher, and special guest violist Laura Thompson. The group strives to re-imagine the string quartet in a contemporary context through a mixture of thoughtful, eccentric programming, captivating performances, and collaborations with sound artists, visual artists, composers, and songwriters. Praised for their “uncompromising and unreserved . . . intense, and sensuously gestural” performances (examiner.com), The Rhythm Method strives to reimagine the string quartet in a contemporary context. Since its founding in 2014, the group has given soulful, spirited performances in New York, Vienna, Paris, and Lucerne, and tackled works ranging from classics by Ligeti and Webern to newer works/premieres by Tonia Ko, Dai Fujikura, Andrew Norman, John Zorn, and other living composers, including members of the ensemble. Through a mixture of thoughtful programming, captivating performances, and collaborations with sound artists, visual artists, and songwriters as well as composers, they present concert experiences that engage and challenge their audiences.